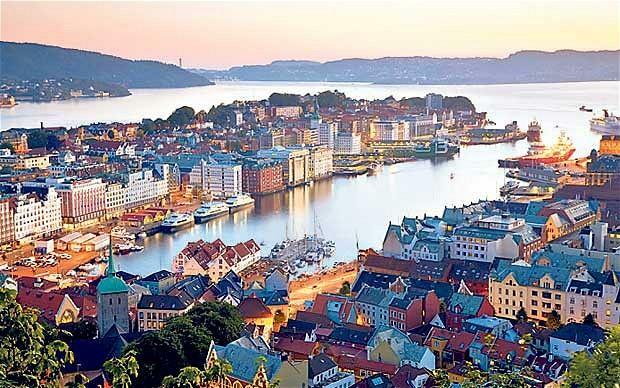 Located between Oslofjord and over a thousand miles of forested hills sits Oslo, Norway, the country’s largest city and capital. Known to share a special combination of nature and city life, Olso is one of the fastest growing cities throughout all of Europe. As far as city life goes, Oslo is famous for its love of music. Every year Oslo hosts thousands of concerts, featuring both local talent and mainstream artists. Offering several world-class museums, restaurants, and art, the beautiful city has more than enough to keep anyone occupied. 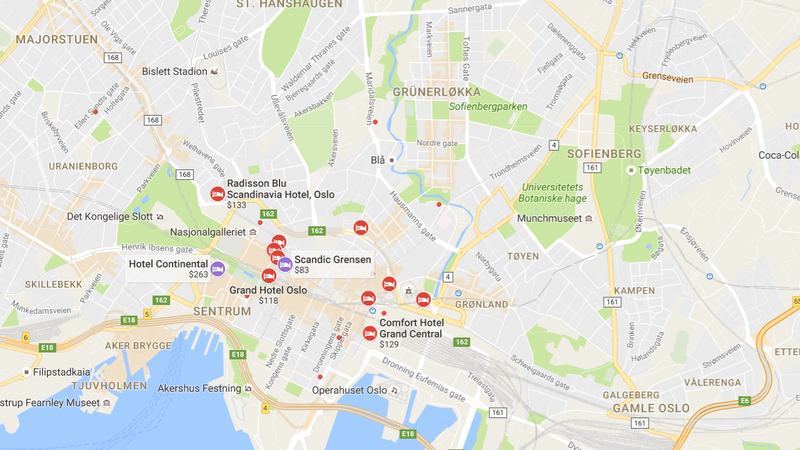 Most importantly, Oslo’s central city area is very compact, and can be easily explored on foot. Furthermore, you can find the city’s evolution, over the last 1,000 years, on display along the waterfront. Also note that the city provides an efficient public transportation system. There are buses, trains, and a metro (called T-bane). A "runseeing" tour of some of Oslo's highlights. Signature landmarks include The Royal Palace, the Nobels Fredssenter, Akershus Fortress, Armed Forces Museum, the Museum of Contemporary Art, and the Oslo Cathedral. One of the most popular places to run in Oslo. A combination park and historic estate. 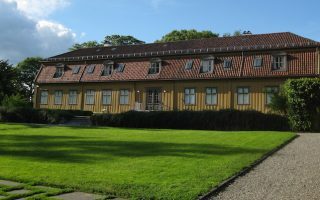 Now houses the Oslo City Museum. 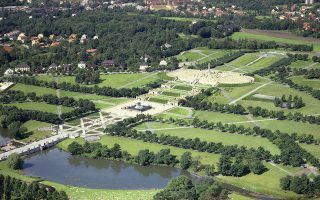 Also enjoy Vigelandsparken, a sculpture park and museum displaying the works of Gustav Vigeland. 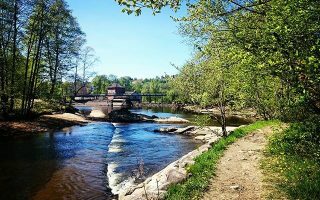 The beautiful Akerselva River runs from the center of Oslo to Maridalsvannet. It is 3.3 miles one way, so choose your distance! Offers serene forests, industrial history, fishing, swimming, and several magnificent waterfalls. A beautiful park near the city that includes a 63 acre sculpture park. Also includes Middelalderparken, a recently built park that houses the ruins of St. Clement’s Church, St. Mary’s Church, and the former Royal Estate, and a lake. 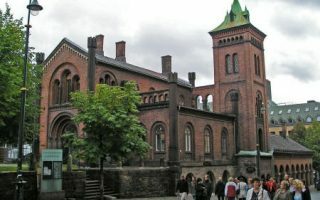 This 3.9 mile route passes some of Oslo’s most famous landmarks: the Oslo Cathedral, St. Hanshaugen Park, Old Aker Church, and Oslo Reptilpark. Start at Oslo Cathedral. Tøyenparken is home to Parkrun, a free group 5k held every Saturday morning. 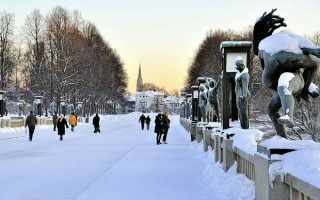 Oslo’s monthly weather is fairly moderate, especially for a city located as North as it is. Winter’s are fairly cold, with average temperatures around 23 degrees Fahrenheit. This cold season primarily occurs in the months of December, January, and February. Summers are mild, with average highs of 70F (21C). The city doesn’t get a huge amount of rain or snow though about half the days are wet in some way. 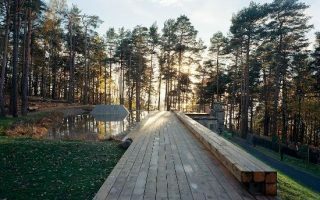 July and August are known to be the most enjoyable months for visiting Oslo, due to their nice weather and consistent average temperatures. Also note that September is the wettest month. Torshov Sport — Group runs every Wednesday in the Fall. Intersport — Closed on Sundays. Colors Me Rad 5K Oslo — Takes place in August. X-Run Oslo — Takes place in August. Known to be Norway’s toughest obstacle race. Toughest Oslo — Takes place in September. Route description: elevation, mountains, forests, lakes. Danikerbosloop — Takes place in February.